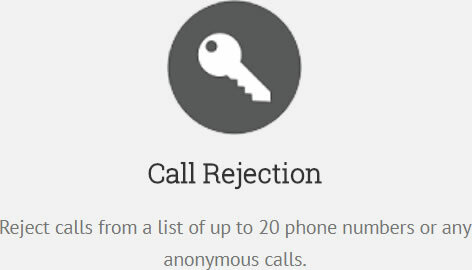 Reject calls from a list of up to 20 phone numbers or any anonymous calls. 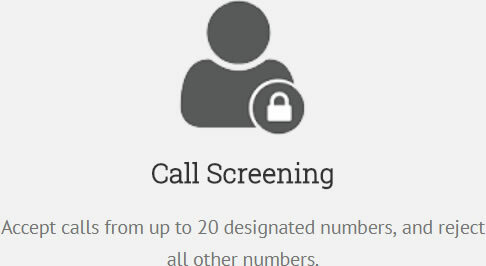 Accept calls from up to 20 designated numbers, and reject all other numbers. 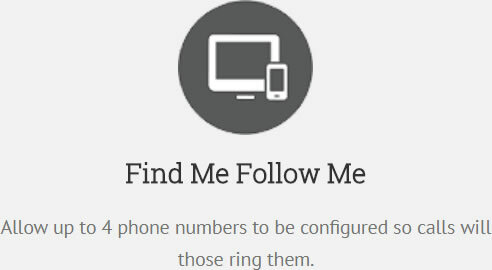 Allow up to 4 phone numbers to be configured so calls will those ring them.